Manage your client’s complete wealth picture with our purposeful suite of tools and best-of-breed integrations. Strengthen your connections with both clients and prospects by leveraging our innovative and intuitive technology. of the top 100 advisors use our solutions. of the top 25 fastest growing advisory firms use Black Diamond. of the top 25 fastest growing advisory firms use Advent solutions. 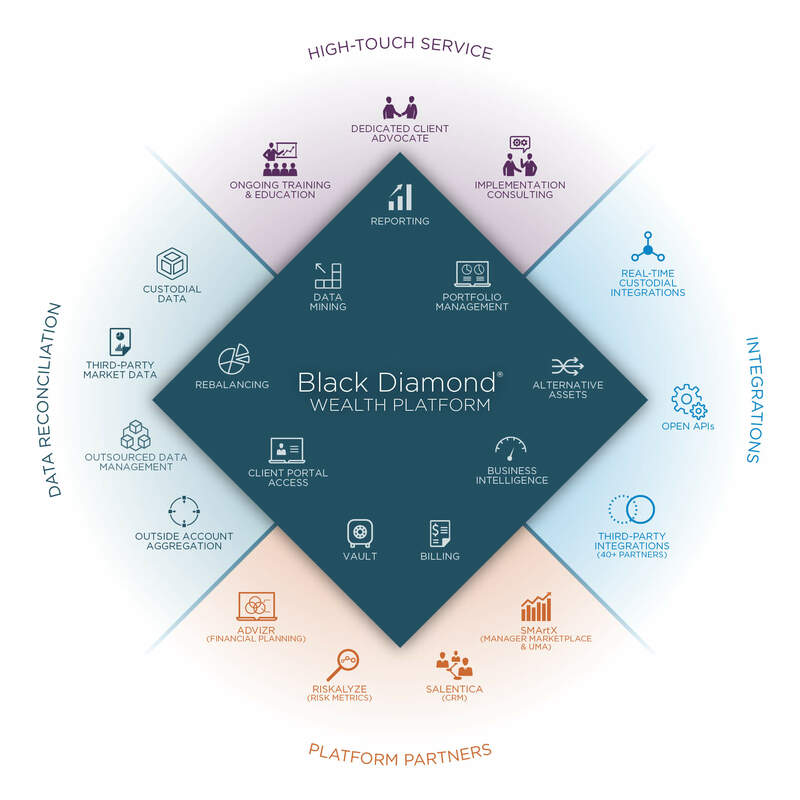 More than 1,300 firms use the Black Diamond wealth platform, including advisors, wealth managers, IBDs, RBDs, and aggregators. "Our decision to work with the Black Diamond platform has really allowed us to grow and to provide a higher level of quality service to our clients." "What Black Diamond really offered us was the opportunity to build a firm not for today, but for where we expect to be in 3 years, 5 years, 8 years, 10 years down the road." "Black Diamond’s new Client Experience provides an intuitive and aesthetically pleasing platform that allows our clients to have a comprehensive view of their wealth. Their constant innovation provides us with the tools and technology we need to deliver an outstanding digital experience to our clients."